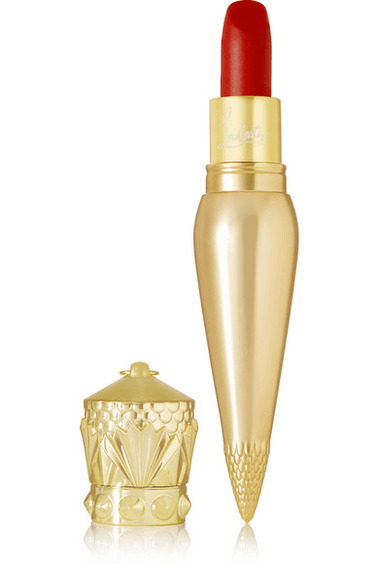 Christian Louboutin Beauty's 'Velvet Matte' lipstick in 'Diva' is a universally flattering, vibrant red hue. Formulated for a suede-like finish, it glides on seamlessly without feathering and stays put for up to four hours. Moisturizing properties ensure it won't dry out your lips. - Packaged in gold-tone vial that can be worn as a necklace - Enriched with natural oils and seed butters - Free from parabens, phthalates and DEA -Instructions for use: - Apply to the heart of the lips, working outwards to each corner - 3.8g/ 0.13oz.